More than 600 students have applied to receive diplomas Friday, May 5, 2017, when East Central Community College holds its 88th Commencement beginning at 6 p.m. in the Neshoba County Coliseum in Philadelphia. Graduates participating in the program include (from left) Khalil Triplett of Philadelphia, who will give the invocation; and Katie McCool of Louisville, commencement speaker. Not pictured is Laneisha Jeans of Pensacola, Fla., who will give the benediction. East Central Community College President Dr. Billy Stewart said the college could have another record graduating class, with more than 600 students applying to graduate May 5 when the institution holds its 88th Commencement beginning at 6 p.m. in the Neshoba County Coliseum in Philadelphia. East Central had its largest graduating class in history in May 2016 when 599 students received diplomas or certificates. Stewart said that the final number of graduates will be determined after all applications for graduation are reviewed and final grades for the spring 2017 semester are posted. 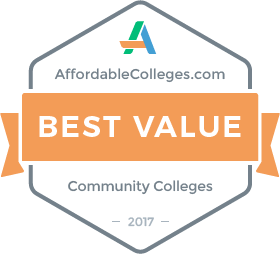 Included in the total are those who completed degree requirements following the 2017 spring and the 2016 summer and fall terms, according to Dr. Teresa Houston, vice president for instruction. 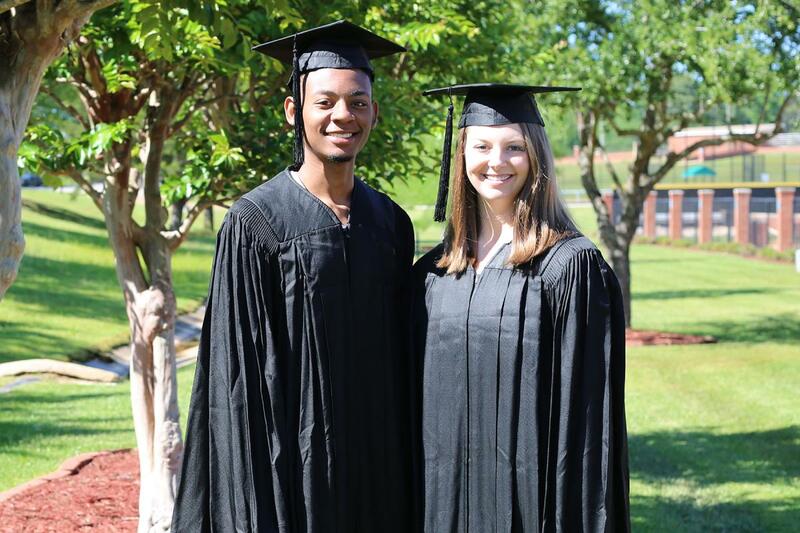 Those participating in the commencement program May 5 include graduating sophomores Khalil Triplett of Philadelphia, who will give the invocation; Katie McCool of Louisville, commencement speaker; and Laneisha Jeans of Pensacola, Fla., benediction. Presenting the musical selection “An Offering” will be graduating sophomores Anastasia Crout and Zachary Emmons, both of Lake; Mackenzie Gray, Mendenhall; Patricia Jones, Carthage; Gage Leifried, Meridian; Coy McMullan, Union; Cassi Pearson, Louisville; Kimberly Reyes, Forest; Samuel Tero and Sylvia Thames, both of Decatur; and McCool. This year’s Commencement will also be available for viewing on live stream video by visiting ECCC’s website at www.eccc.edu/eccc-media. LAUREL: Heath Brashier Morris Jr.
PHILADELPHIA: Tiffany Anderson, Christina Ann Bates, Sydney Michelle Battle, Emily Lois Beckham, Richard Tali Bell, Hannah M. Bennett, Jerron Bennett, Nicholas T. Black, Natalie Dawn Bounds, Abby Bowman, Cayley Branning, Kaitlyn Elizabeth Butler, Aleaya Carothers, Kelly Renee Copeland, Edna L. Cotton, Erin Nicole Cumberland, Kiara Antonise Cunningham, Daniel Driskell, John Eakes, Chelsee Ferris, Elaina N. Frazier, Kinsey Meshea Gentry, Lora Camryn Goodin, Jarard Cardale Greer, Brianna Michelle Chunn Griffin, Morgan Tanner Hardy, Nicholas Latrell Harrington, Cole Hodgins, Bradley Horne, Wendy S. Jackson, Amber Jones, Ashton Killen, Chaiydreanna LeFlore, Sequoyah Lewis, Quomesha Lindsey, Hosea C. McBeath, Bradley Ethan Palmer, Maranda Reno Payton, Contessa La Trese Peebles, Chandler Elizabeth Posey, Natalie Catherine Posey, Misty D. Simmons, Shanagia Sims, Tabitha Smith, Lacy Stone, JaQuanna Latrice Stribling, Tatyana Aaliyah Stribling, David Tyrone Thames Jr., Khalil D. Triplett, Skyler Whatley, Larisa Willis, Abby Leigh Winstead, Brittany Leigh Winstead and Herman Young Jr.
CARTHAGE: Ivy Foster, Robin Alixander Jones, Malcon Marshall, Andy L. Pilgrim Jr. and Danny Carl Smith, Jr.